Matte Crystalline - All of our crystalline is made out of a blend of fine porcelain and white stoneware. 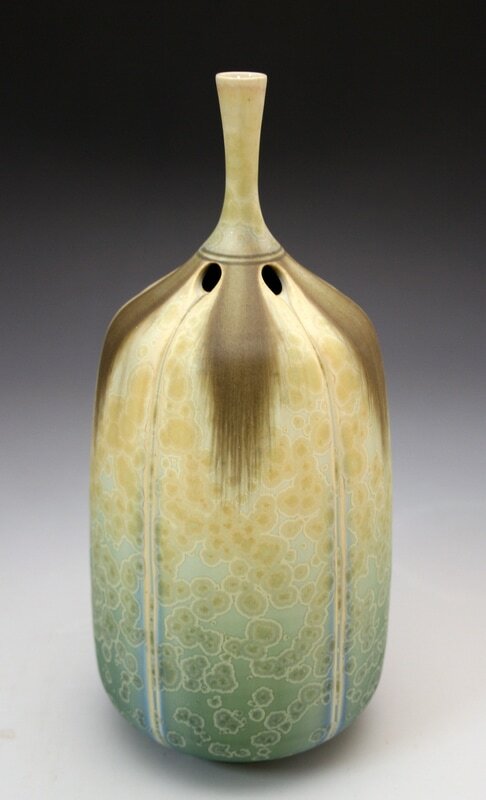 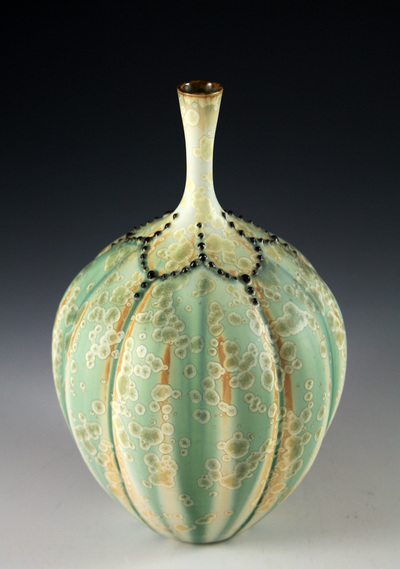 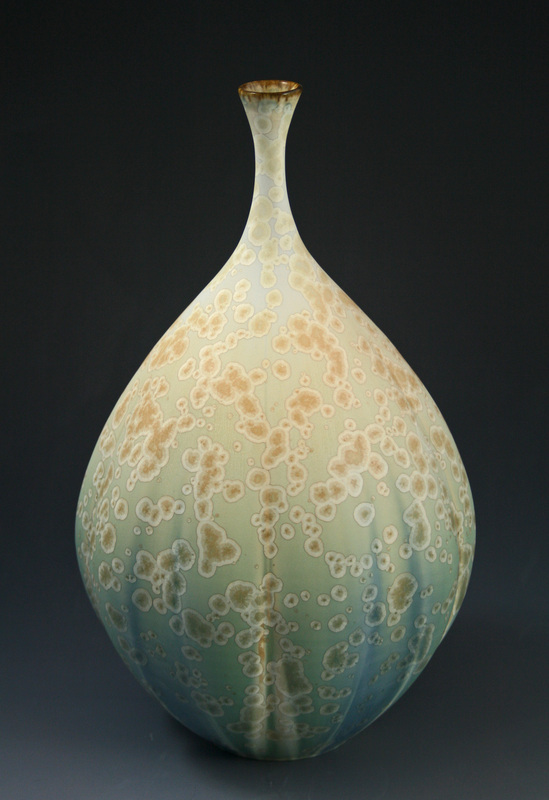 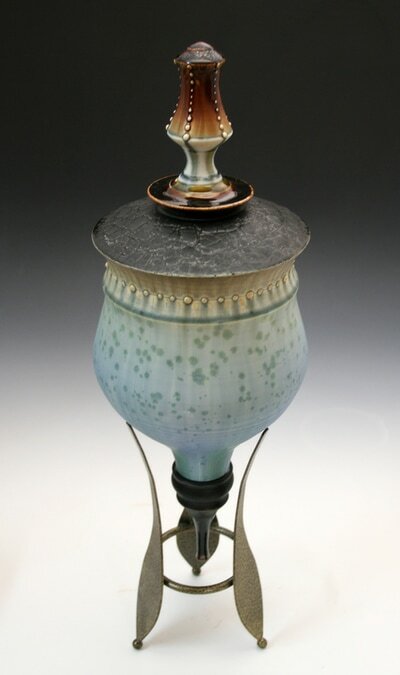 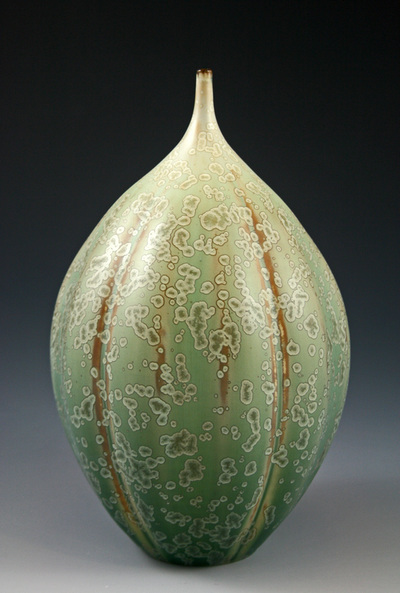 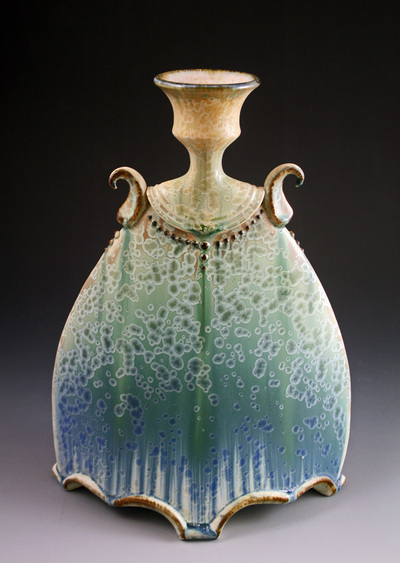 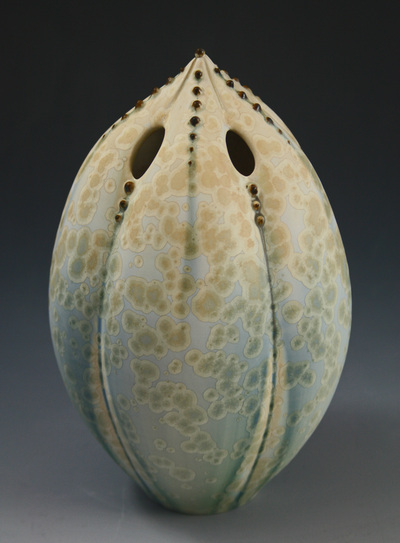 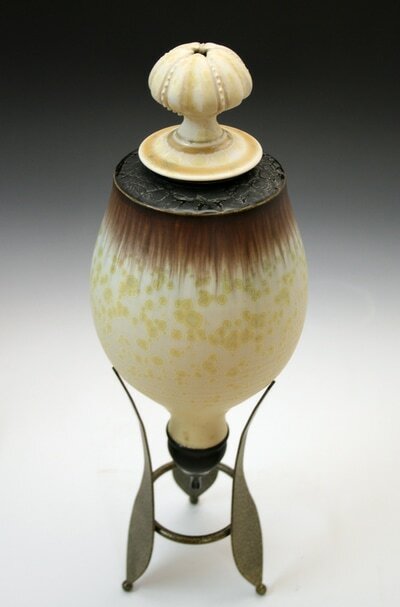 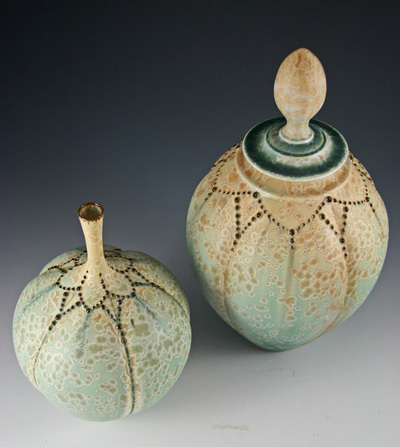 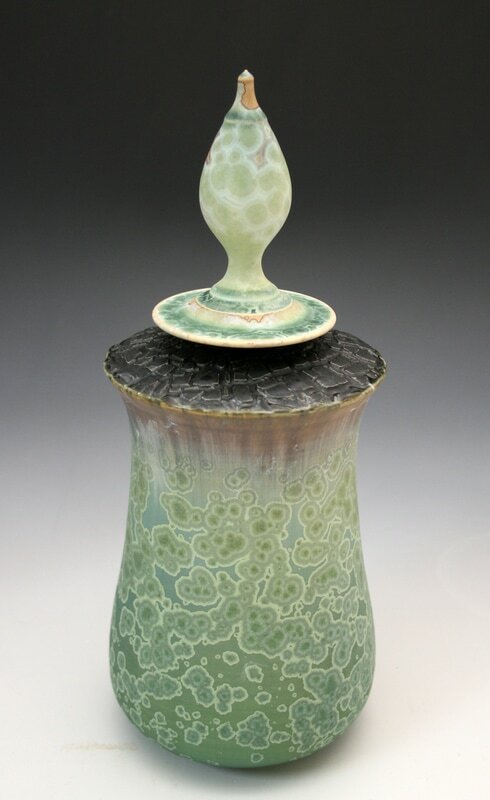 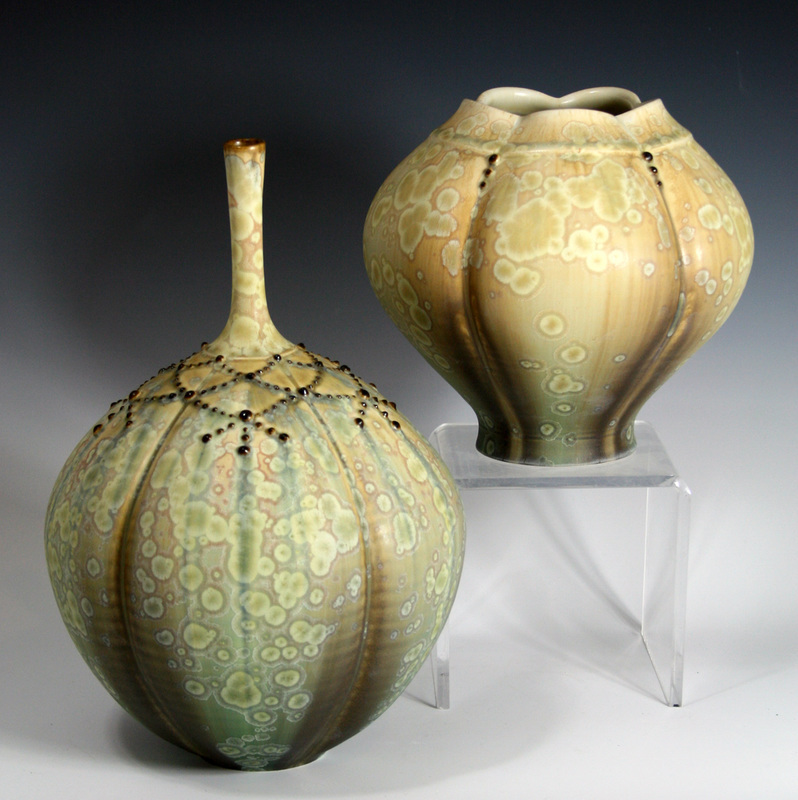 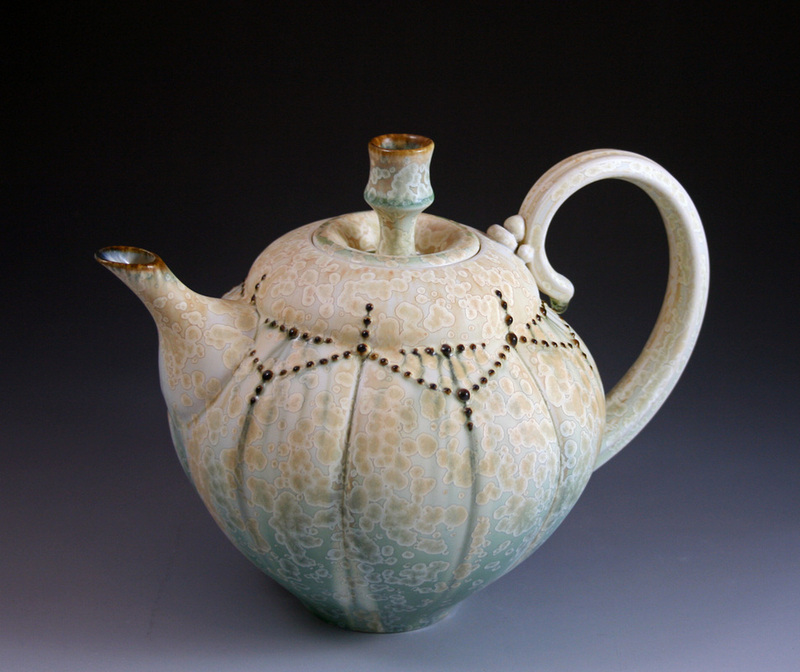 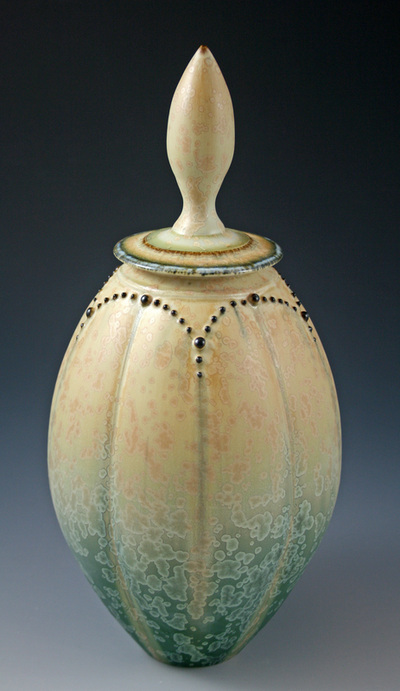 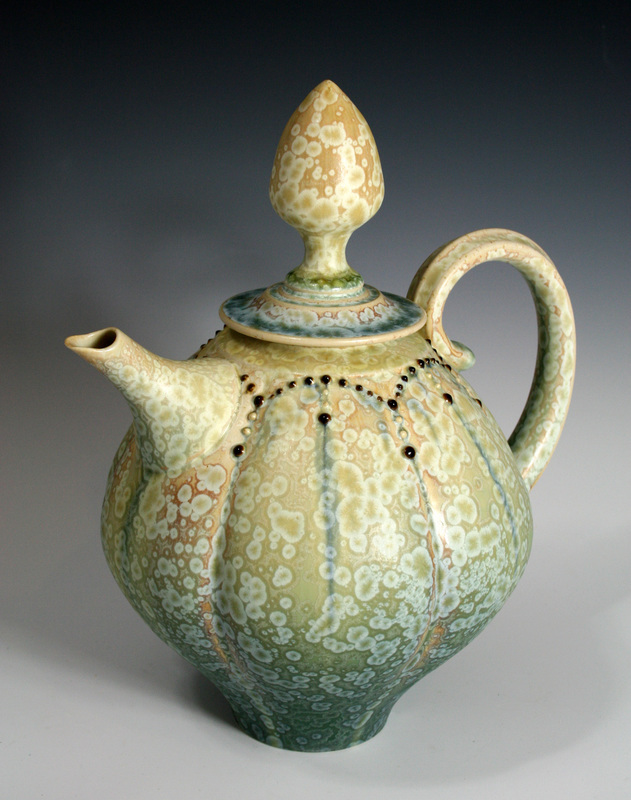 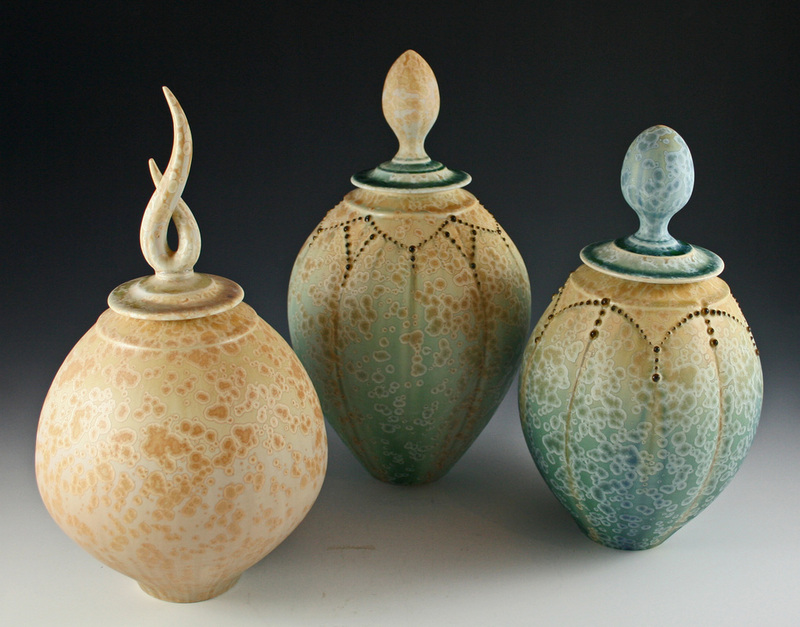 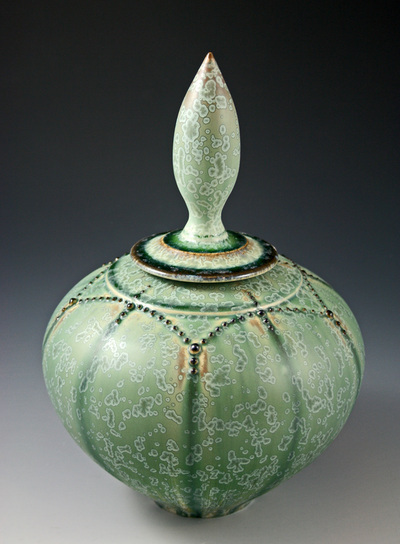 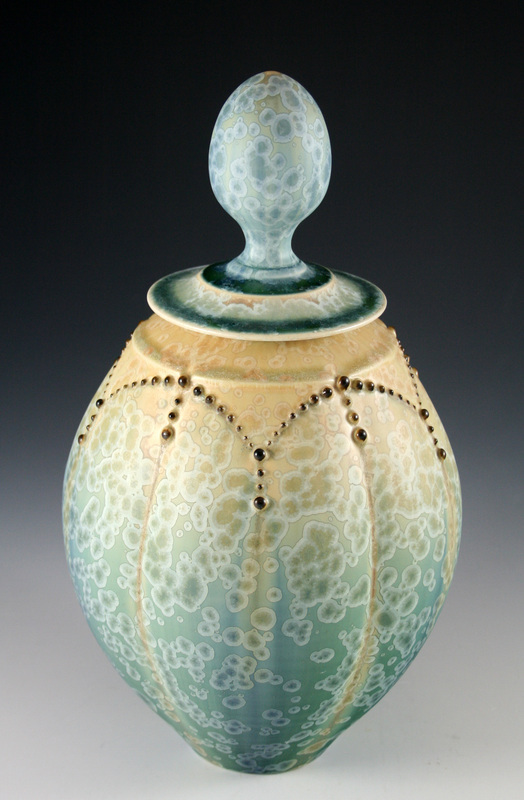 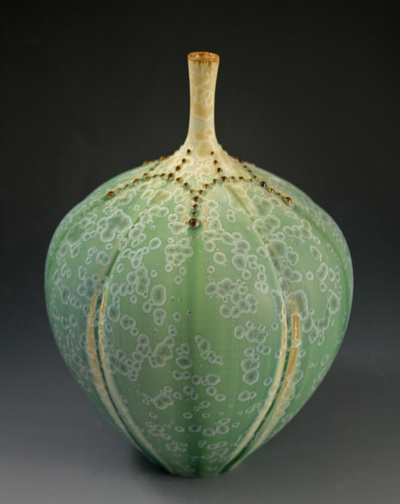 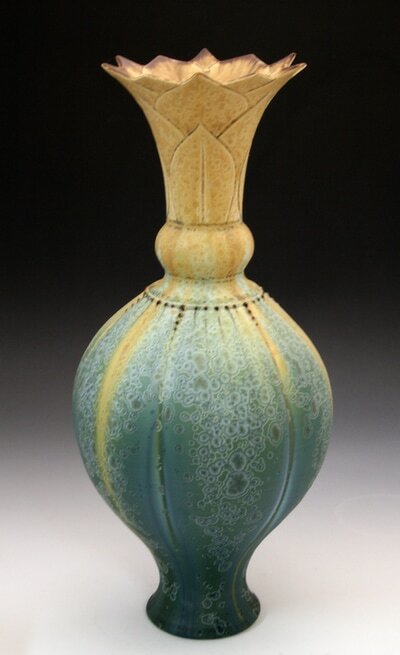 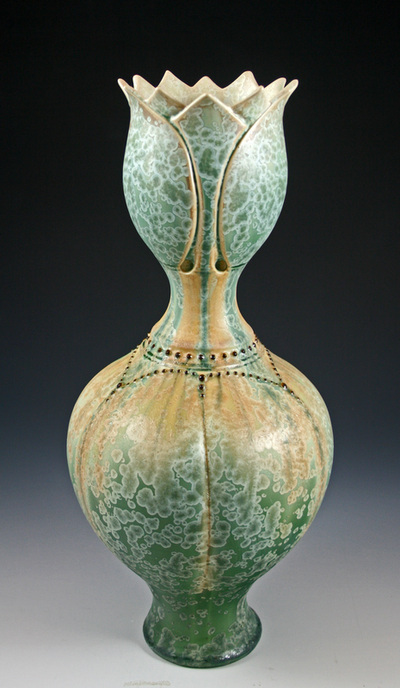 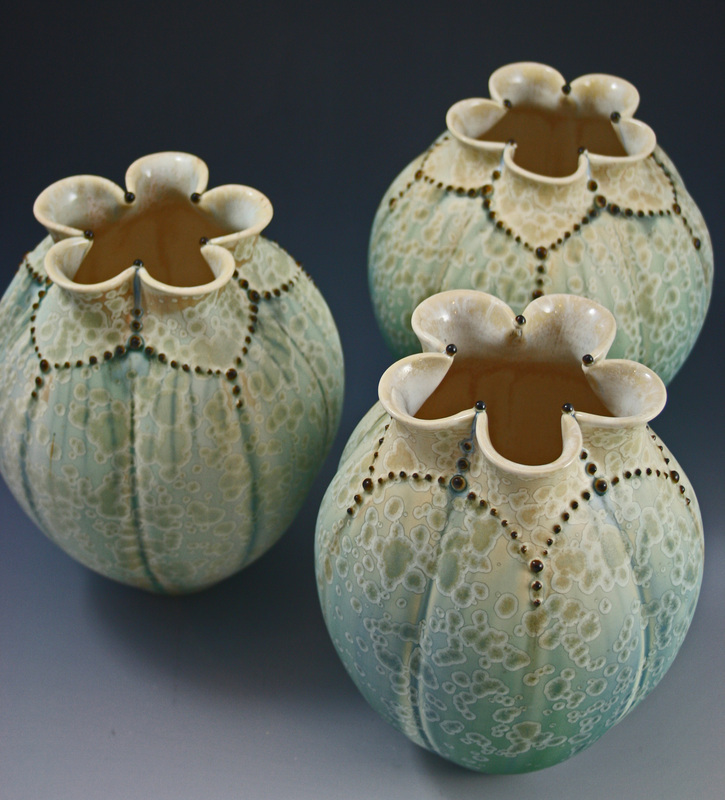 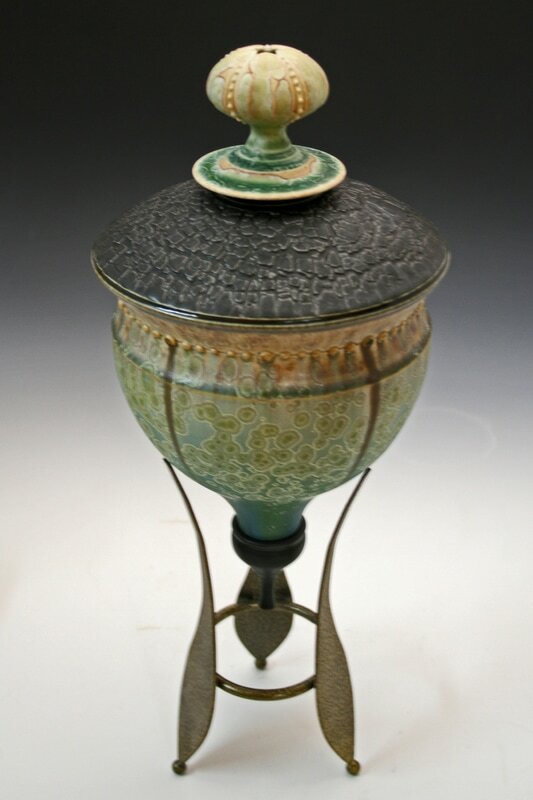 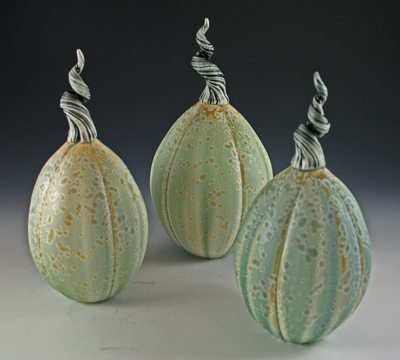 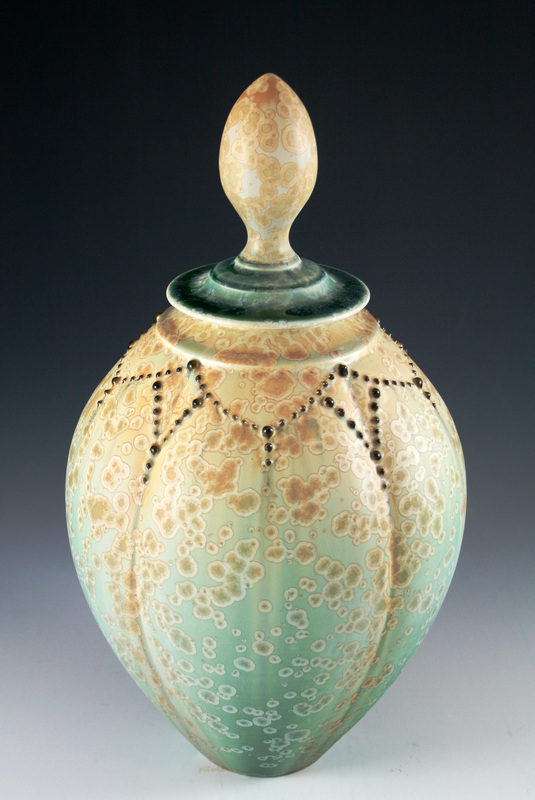 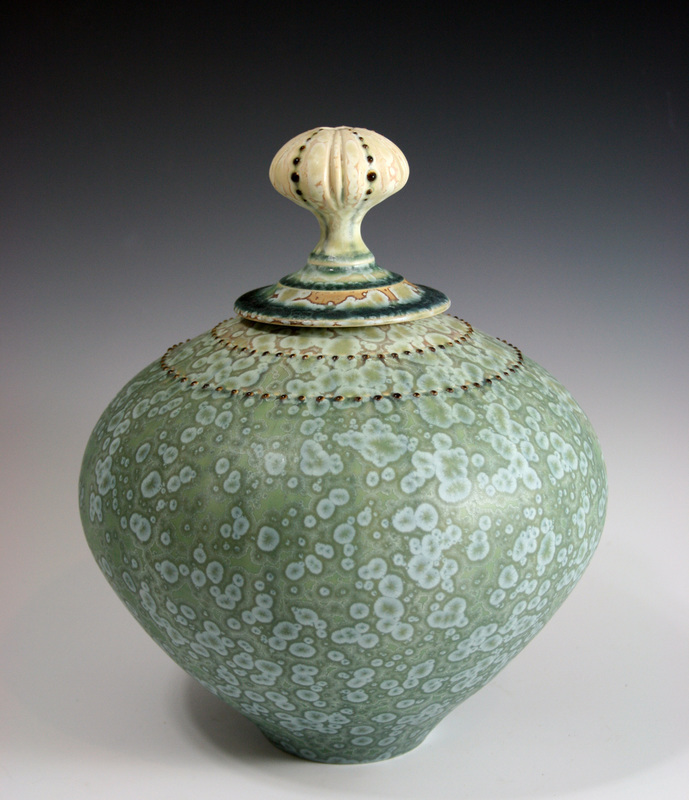 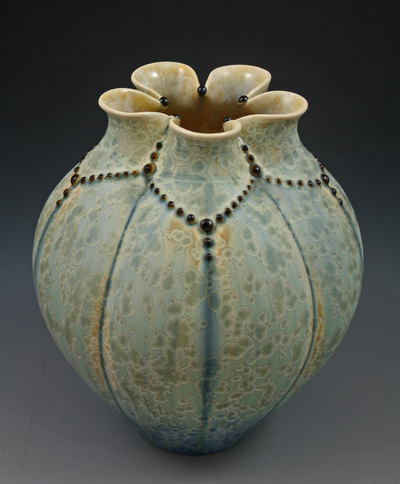 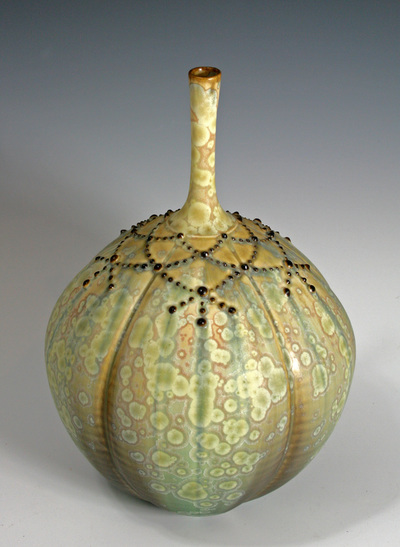 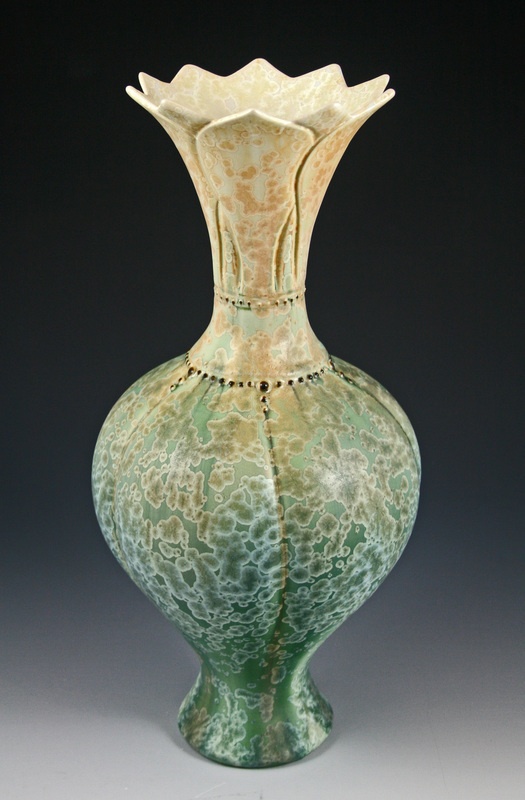 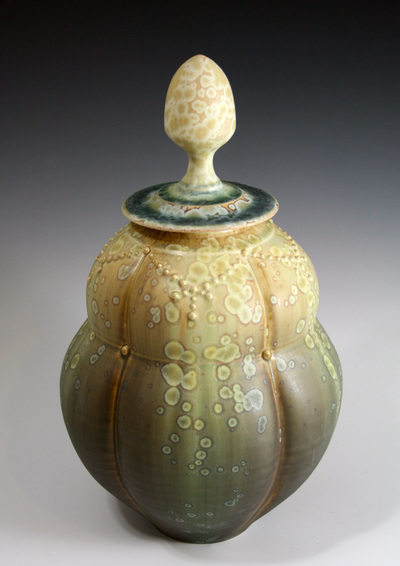 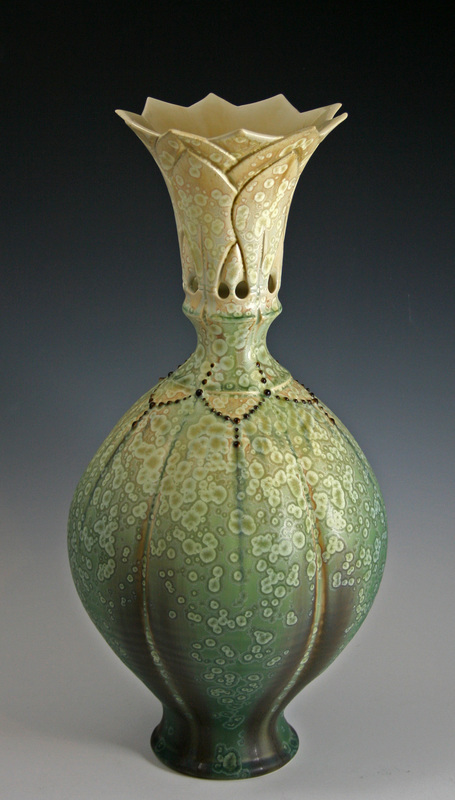 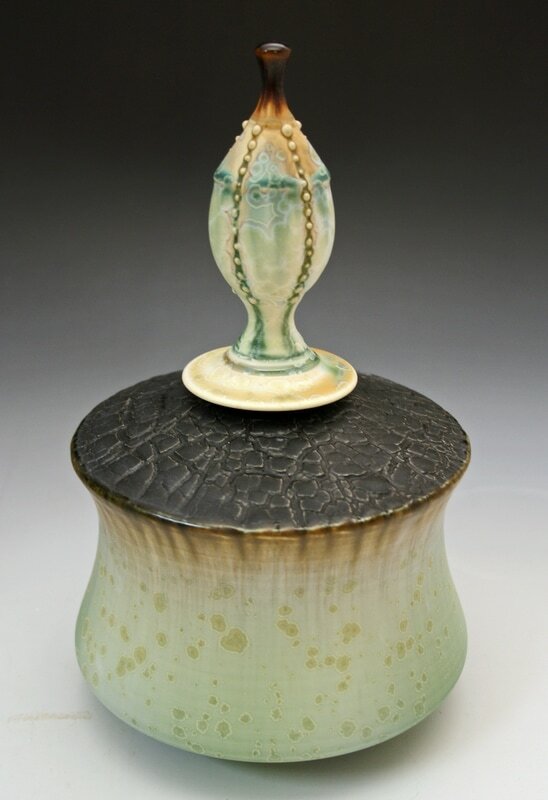 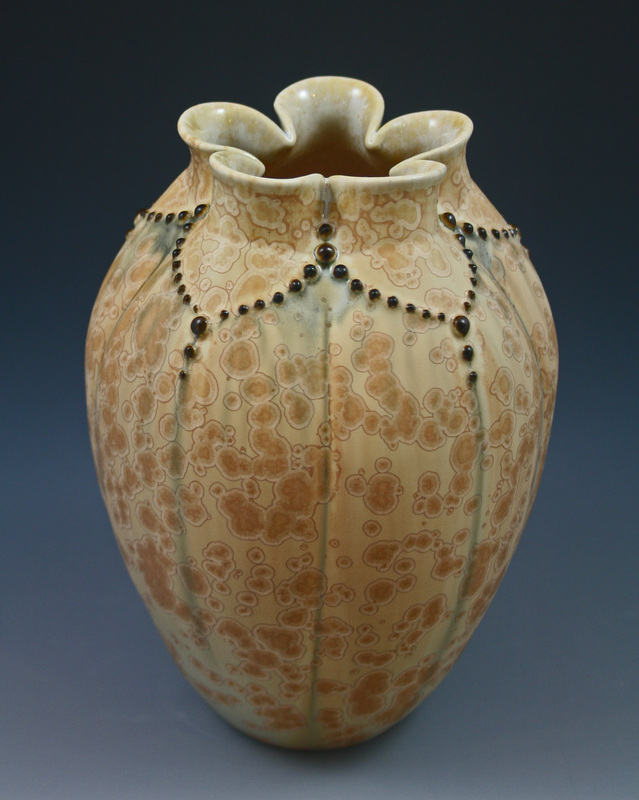 The matte crystalline glazes create silky smooth surfaces with smaller symmetrical crystals. These crystals form during the cooling process, much like the glossy crystalline glazes. 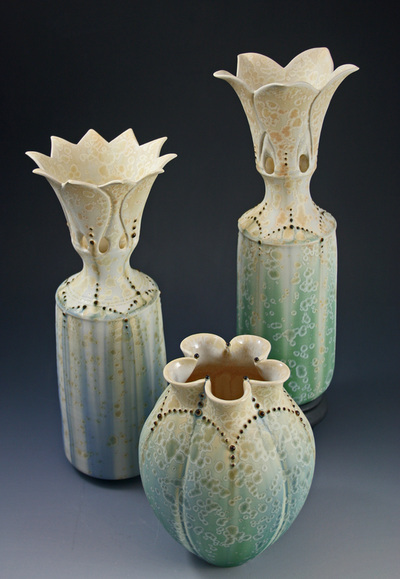 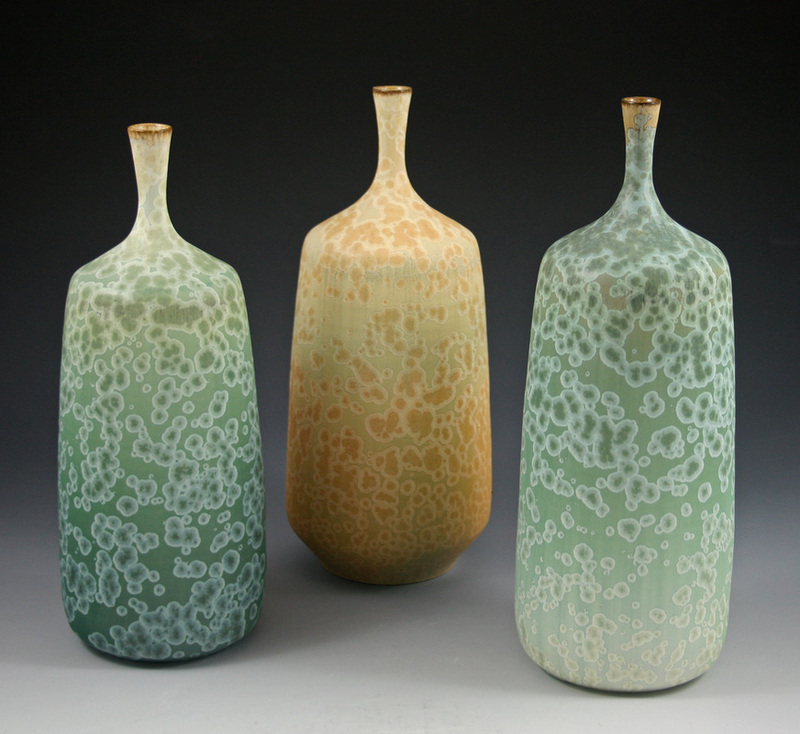 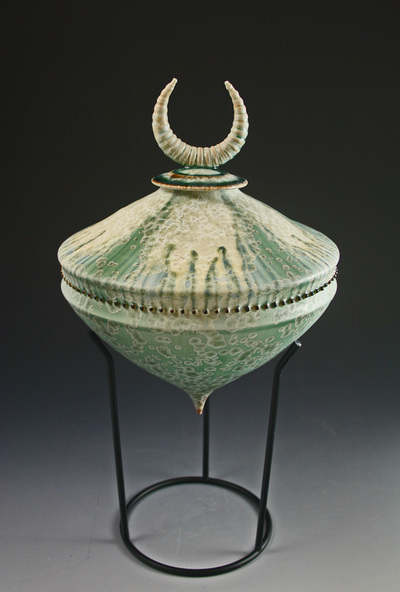 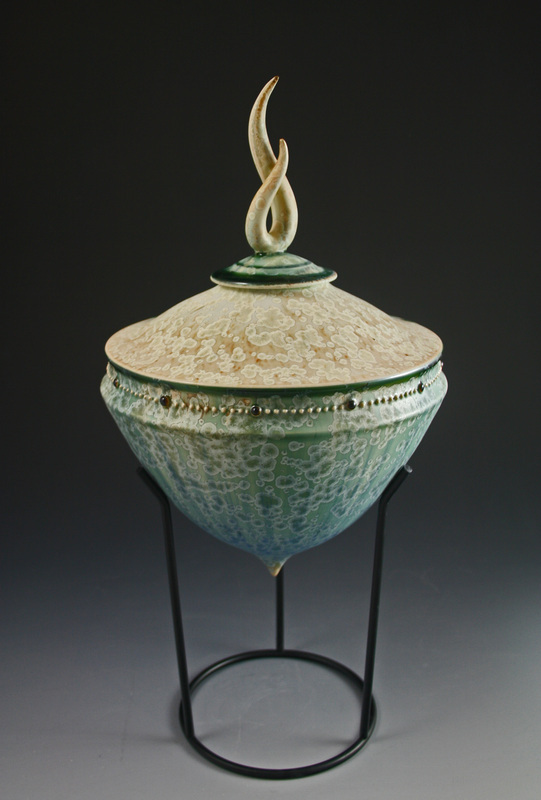 All of the matte crystalline glazed pieces are decorative bottles and large to small vases with carved and beaded surfaces.